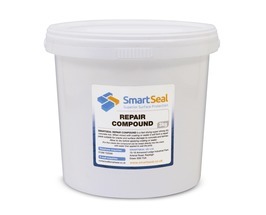 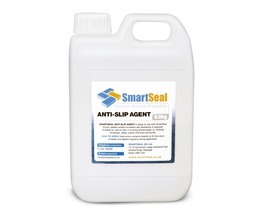 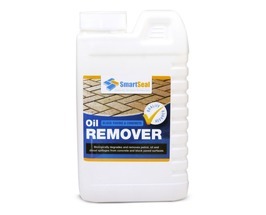 Smartseal stock a comprehensive high quality range of imprinted concrete sealer for DIY and trade customers. 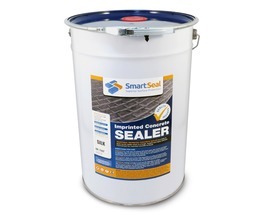 All our sealers for imprinted concrete are manufactured to BS5750/ISO 9001 quality and widely used by professional contractors for sealing imprinted concrete driveways and patios around the UK. 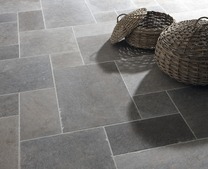 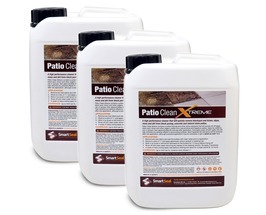 The patterned concrere sealer is suitable for all printed, stamped and imprinted concrete surfaces. 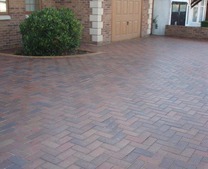 Use patterned imprinted concrete sealer on a pressed concrete or stamped concrete driveway or patio. 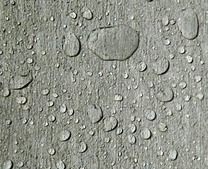 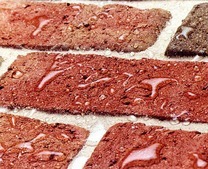 The imprinted concrete sealer will provide lasting protection to the concrete. 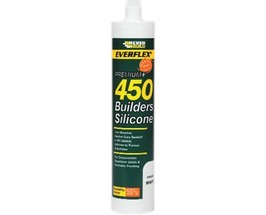 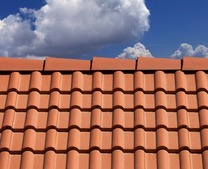 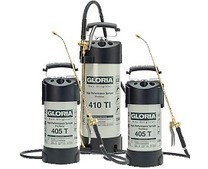 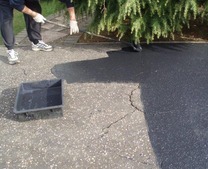 The concrete sealer will also provide protection from oil spills and oil staining. 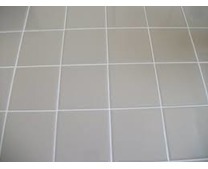 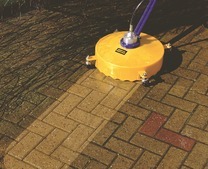 On this section of our website you will find everything required to clean, repair, seal and maintain your imprinted concrete. 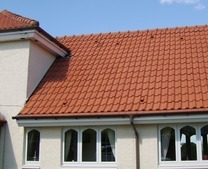 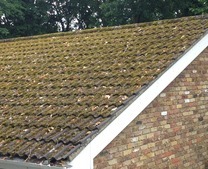 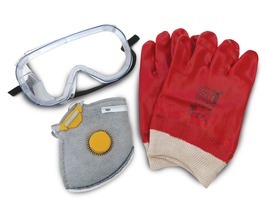 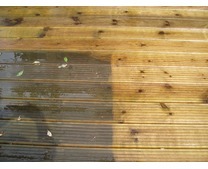 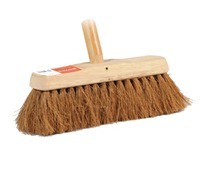 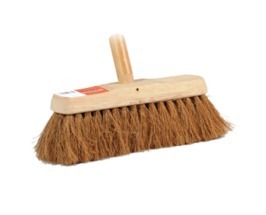 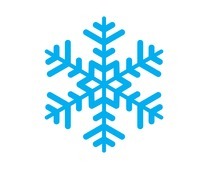 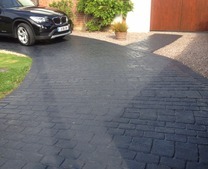 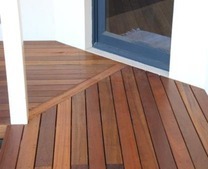 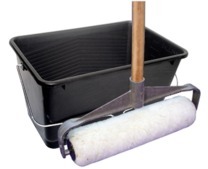 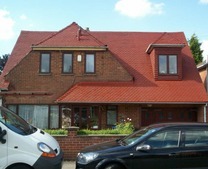 We also supply sealer application tools, anti-slip additives, colour tints and sealer repair fluid. 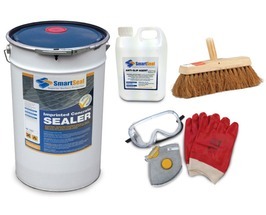 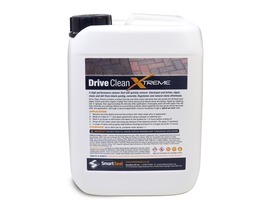 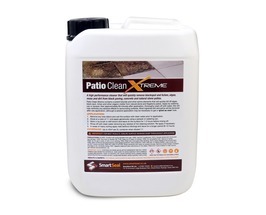 Smartseal imprinted concrete sealer is the perfect way to not only protect your patterned concrete driveway or patio. 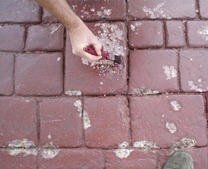 The stamped concrete sealer will protect your driveway and patio for years. 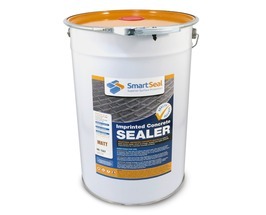 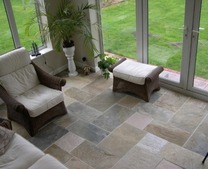 The patterned concrete sealer will have a lifespan of 3-5 years dependent on use. 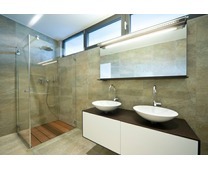 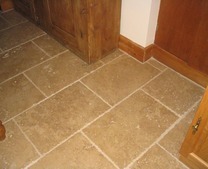 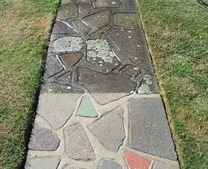 This will also vary dependent on the quality and amount of patterned concrete sealer that was originally applied. 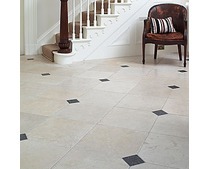 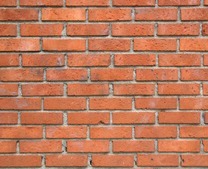 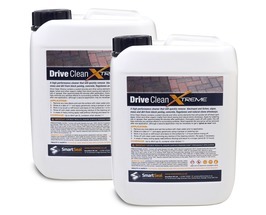 Our sealant for patterned imprinted concrete comes in three finishes - matt, silk and gloss. 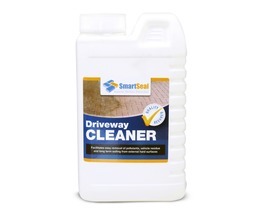 If your patterned concrete driveway or patio is in good condition and just requires a top up coat of sealer, use the Silk finish. This imprinted concrete sealer in a satin finish, will 'melt' and 'key' to any remaining imprinted concrete sealer previously applied. 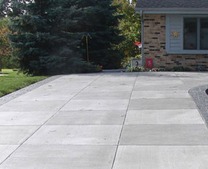 It is recommended that two coats of stamped concrete sealer every 3-5 years will keep the concrete in optimum condition. 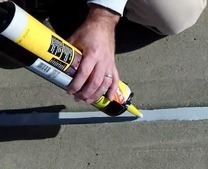 The patterned concrete sealer or imprinted concrete sealer Matt finish should be used if the condition of the concrete is poor. 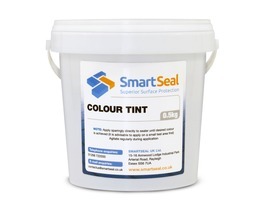 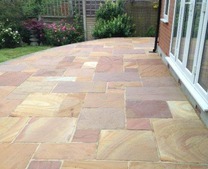 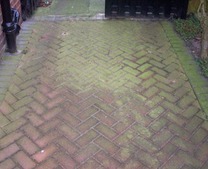 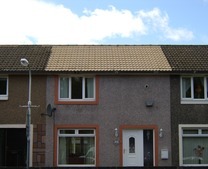 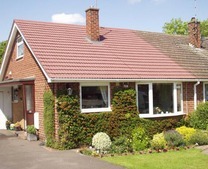 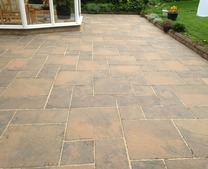 If there is colour loss on the surface of the concrete, you can add a colour tint to the concrete sealer. 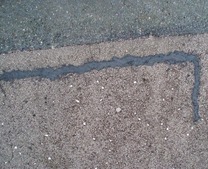 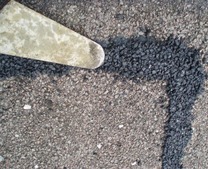 The viscosity of the patterned concrete sealant will allow the colour to penetrate and revive the original colour of the concrete. 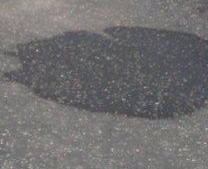 If the stamped concrete sealer for any reason cannot key into the surface of the imprinted concrete properly, there is a good chance it will peel off at some stage and create a problem that is difficult to fix. 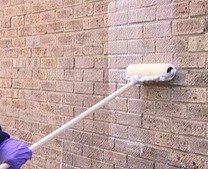 Our Gloss finish imprinted concrete sealer is generally only used if there is plenty of concrete sealer still present and only one coat of sealant is required. 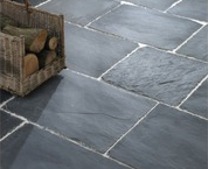 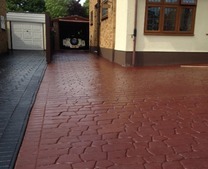 If you require any advice on what sealer is the correct finish for your pressed concrete driveway or patio, please call 01268 722500 or contact us.